The route is currently used by walkers, runners, cyclists and horse riders. Scarborough Borough Council is set to host two public consultation events on the proposed action plan for the old Scarborough to Whitby railway line, known as the Cinder Track. Key user groups have previously given their feedback on the draft plans but it was agreed that additional consultation, particularly for people living towards the northern end of the track, was required. Two events will be held this week on the proposed action plan for the Cinder Track. Two drop-in style consultation events have scheduled for Thursday (November 22), 4.30pm to 6.30pm at Fylingdales Village Hall, Robin Hoods Bay and Friday (November 23), 4.00pm to 6.00pm at Raven Hall Country House Hotel, Ravenscar. 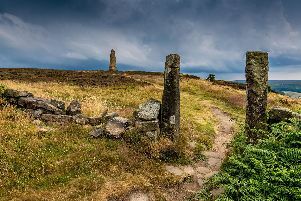 Paul Thompson, Scarborough Borough Council Operations, Transport & Countryside Manager said: "I would encourage anyone with an interest in the future of the Cinder Track and especially those in the Whitby, Robin Hoods Bay and Ravenscar areas to attend one of the open events. "It will be a valuable opportunity to see the plans first hand and comment on the overall vision and aspirations as well as the specifics of particular locations where improvement works are proposed in the coming years." The plan sets out aspirations for improving accessibility, signage, surfacing, drainage and associated habitats along the 21 miles long permissive route, which is currently used by walkers, runners, cyclists, horse riders and, in a few places where access is required to private premises and farmland, vehicles too. Both events will be friendly and informal, with enlarged copies of the plans on display, staff on hand to answer any queries and comment sheets for written feedback.